Pokemon Go players: there are hundreds of rumors going around lately about Pokemon Go, and I’m here to help share which ones are bad and which are good. Eevee evolutions can’t be guessed. There are countless posts claiming that having a certain move will determine what your Eevee evolves into. This is false information. I had an Eevee with Dig turn into a Vaporeon. Then another Eevee with Swift also turn into a Vaporeon. – However, it’s been widely reported that using certain names for your Eevees WILL work. 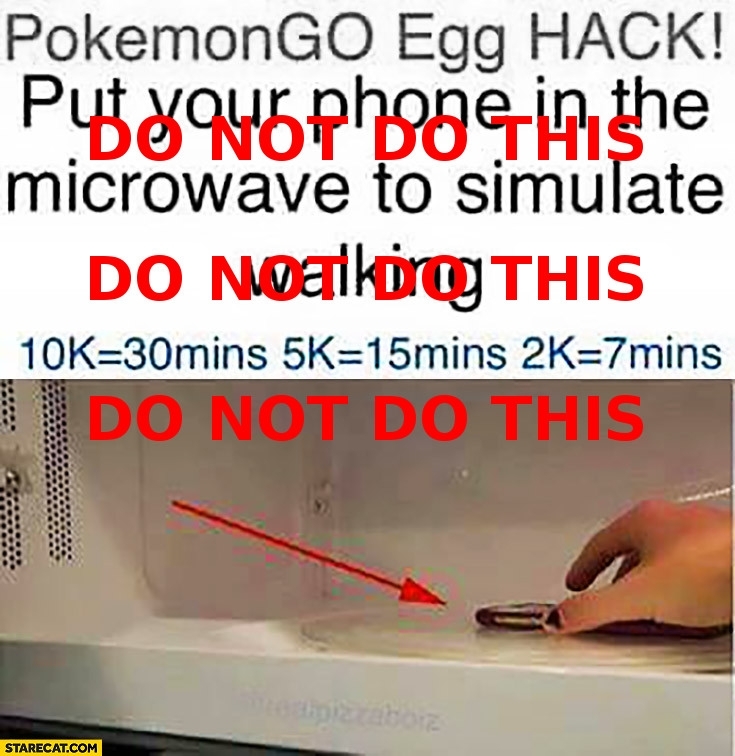 While this should be obvious, microwaving your phone will not hatch your eggs. It also won’t do anything but melt your phone. I can’t believe I have to say this, but sometimes people will do anything to gain an edge. If you really can’t wait for your eggs, get in a car and have someone drive you really slowly around the block a few times. Obviously don’t drive and play Pokemon yourself, as the game will distract you from safe driving. Driving over 15-20mph will not count towards your egg hatching. Picking up your pokeballs is not possible. A lot of people have shared a rumor that you can pick up your pokeballs after throwing them if you miss. I have not been able to get this to work, despite people saying that it works for them. Your mileage may vary. The better idea: don’t miss! Practice holding your pokeball and hitting the inner circle.